About one million dogs are eaten a year in South Korea, often as a summertime delicacy with the greasy red meat, believed to increase energy. SEOUL - South Korean officials on Thursday began to dismantle the country's largest canine slaughterhouse complex, as animal rights activists push to end the custom of eating dog meat. About one million dogs are eaten a year in South Korea, often as a summertime delicacy with the greasy red meat, invariably boiled for tenderness, believed to increase energy. But the tradition has earned criticism abroad and has declined as the nation increasingly embraces the idea of dogs as pets instead of livestock, with eating them now something of a taboo among young South Koreans. 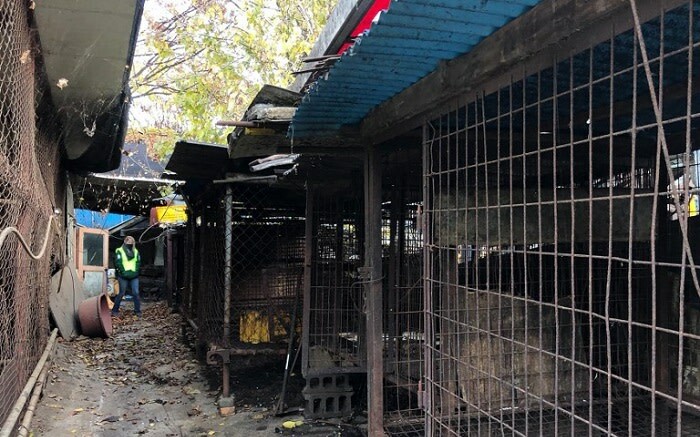 The Taepyeong-dong complex in Seongnam city, south of Seoul, housed at least six dog slaughterhouses that could hold several hundred animals at a time and was a major source for dog meat restaurants across the country. It will be cleared over two days and transformed into a public park, Seongnam city officials said. Gavin DeGraw Eats It After Singing National Anthem at Predators Playoff Game Gavin DeGraw's probably hurtin' bad right now ..